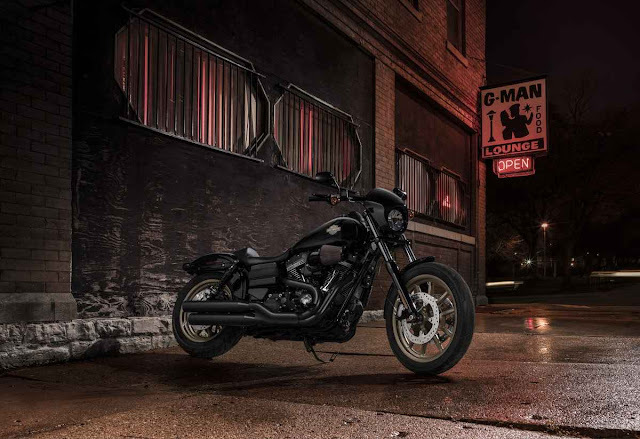 Just when you thought you’d seen everything new from Harley-Davidson ’s 2016 lineup, the Low Rider S sneaks in as the newest member of the S Series Cruiser family, along with the new CVO Pro Street Breakout . These join the previously released 2016 Softail Slim S and the Fat Boy S . With Harley’s largest-displacement Screamin’ Eagle Twin Cam 110 engine, pushing 115 pound-feet of torque, this Low Rider surpasses the standard model’s power by 13 percent even if it’s only about 7 percent larger. 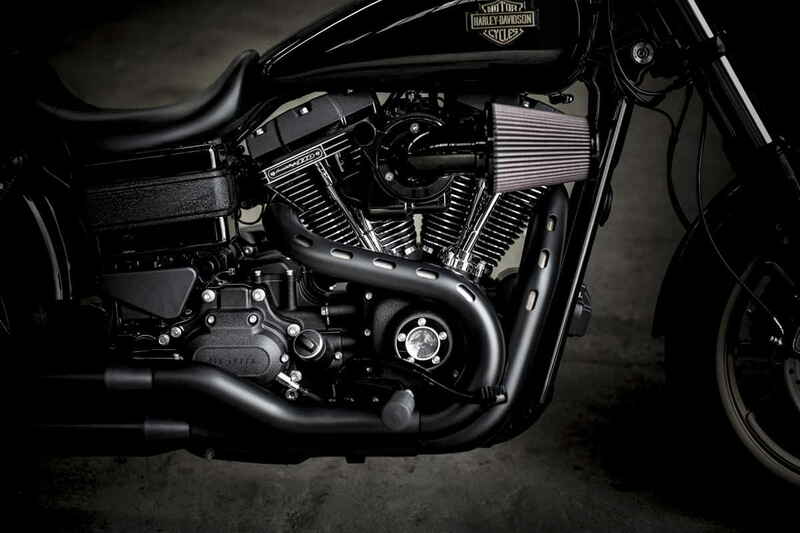 The Screamin' Eagle Twin Cam 110 in the Low Rider S is the largest-displacement H-D factory-installed engine. 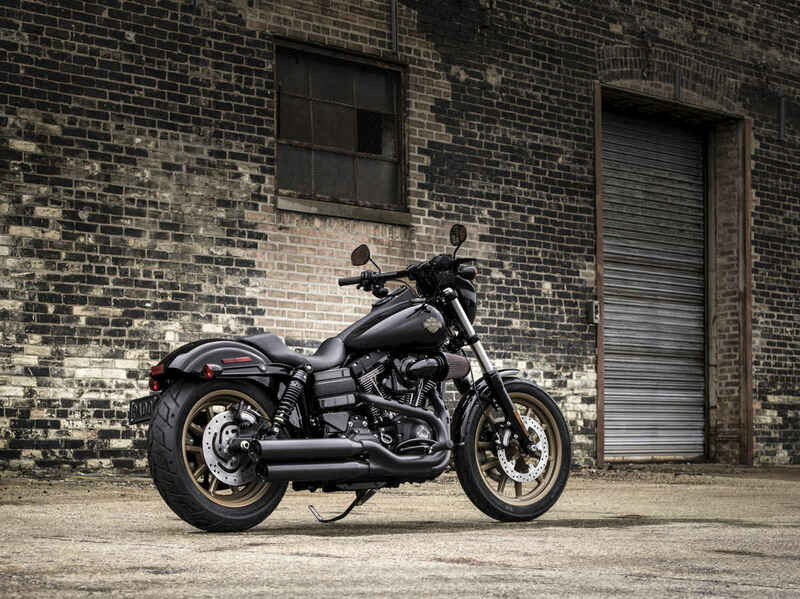 The 110ci V-Twin powerhouse pumps out 115 foot pounds of torque, 13 percent more than the standard Low Rider. The engine breathes by way of a Screamin’ Eagle Heavy Breather (we’re not making this up) performance intake and Fat Bob-style 2-into-2 exhaust, all finished in a black gloss and wrinkle powdercoat. The solo saddle on the Low Rider S is at an easily accessible height of 26.6 inches. The Low Rider S comes equipped with Premium Ride cartridge fork and nitrogen gas-charged emulsion shocks. 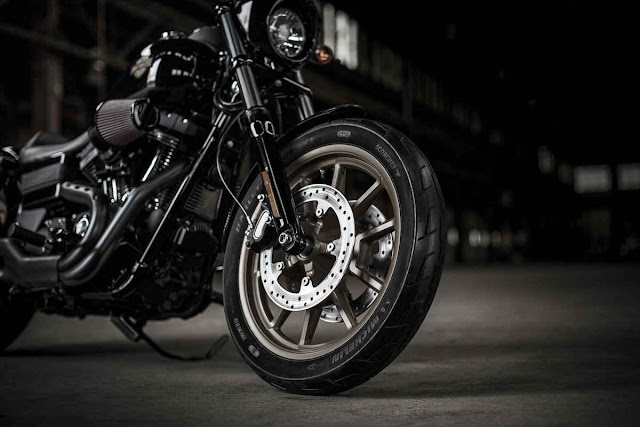 Triple disc brakes bring the cruiser to a stop with dual floating front rotors, which come standard with ABS. The new solo saddle is positioned at an approachable height of 26.6 inches. Combined with a flat drag bar on 5.5-inch risers, the Low Rider S puts the rider in an upright, commanding position. A unique headlight-cradling speed screen helps diffuse the wind, and gives the bike an aggressive front. Completing the dusky theme, Harley offers the Low Rider S in one color: Vivid Black. Magnum Gold cast-aluminum wheels pay homage to 1960s race car magnesium wheels, which coordinate well with the 1977 XLCR Café Racer- inspired tank badge. 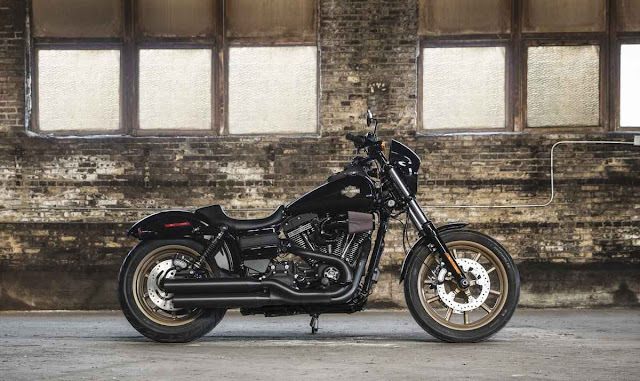 The new Low Rider S is offered at $16,699—the least expensive of all the S models in the line—and will hit showroom floors March 2016. 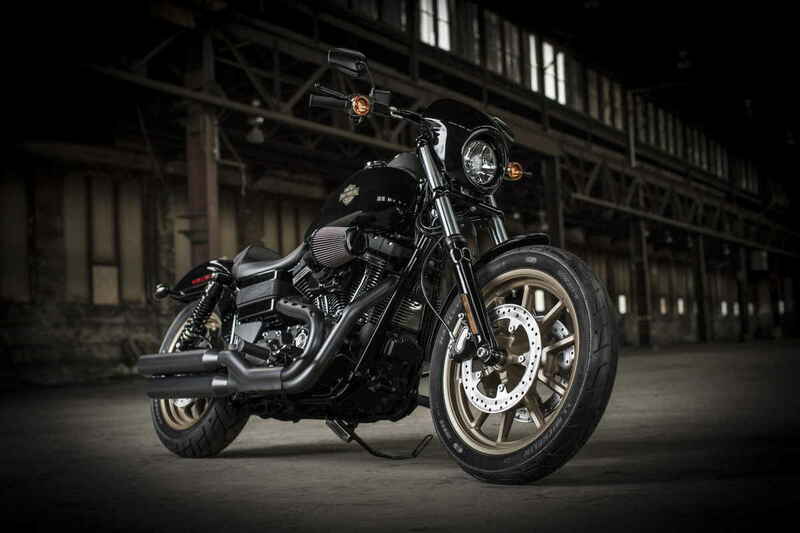 Fat Bob-style 2-into-2 exhaust is finished in black powdercoat. 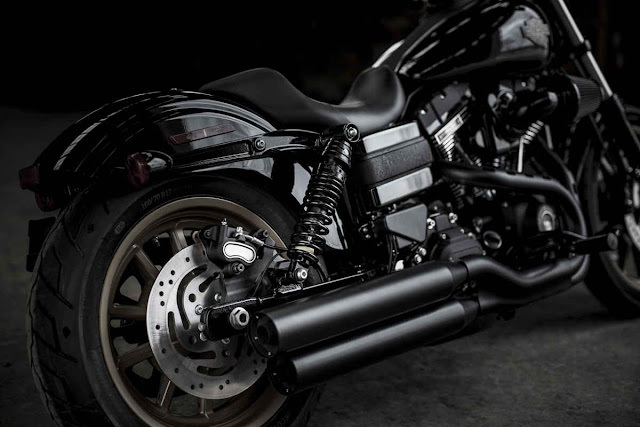 Premium Ride nitrogen gas-charged emulsion shocks are also finished in gloss black.